Last night I brought a message at Celebration about how to comfort others and I decided I'm going to to condense it and share it in parts here on my blog. 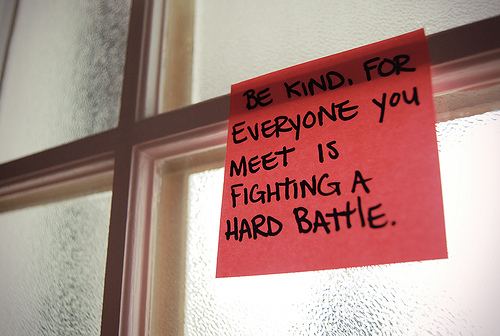 One of my favorite sayings is, "Be kind, for everyone you meet is fighting a hard battle." It's easy to miss the pain of others. We have to train ourselves to take time to notice. It’s one thing to not notice it, to be unaware. It’s quite another to be aware and dismiss it, or attempt to invalidate it. Dismissing a person's pain is one of the worst things we can do. When we dismiss or try to invalidate other’s pain - it wounds them all over again. We can hurt people all over again or we can be part of their healing process. Many of us say nothing because we fear saying the wrong thing when someone is in pain. We need to push past our own anxiety and reach out, and learn how to respond. Many times, someone's future, or their healing, depend on it. 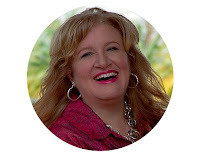 Come back over the next few days as I share practical helps to responding to those who are in pain.